At Premium Nature we strive to create and make the best products for our customers. We continue this tradition with our all Natural Arabica Coffee Scrub. 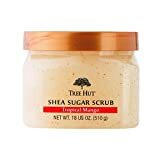 This scrub is unlike any other because it is full of antioxidants which greatly benefit your skin. 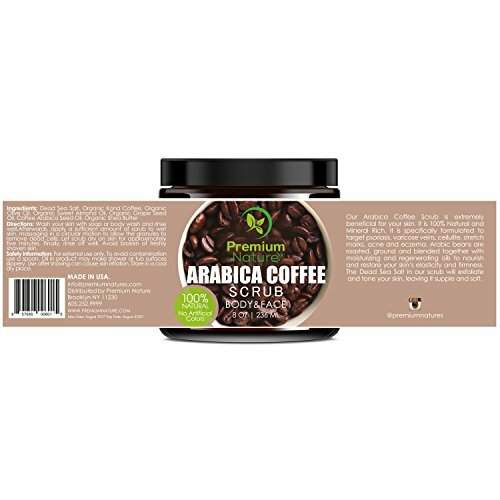 Our Arabica Coffee Scrub’s antioxidant properties help to fight skin aging signs such as wrinkles, sunspots, and fine lines. 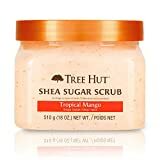 All of the ingredients for this product promote healthy skin: Shea Butter, Olive oil, Almond Oil, Dead Sea Salt and Grapeseed Oil. 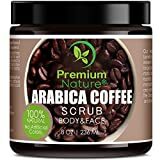 The Arabica Coffee Scrub contains coffee grounds that work as an exfoliant to remove all that dead skin to reveal your new glowing, healthy skin. Our Arabic Coffee Scrub has many great features that promote the health and beauty of your skin.The coffee grounds can moisturize your skin along with the dead sea salt and coconut ingredients. Caffeine also battles Cellulite as it tightens your skin which results in you having firmer skin.